We've had a random week, as far as activities go. Some very cold and blizzardy weather has kept us inside most of the week (makes me sad that we still are dealing with snow and wind chills when we were doing this last year). Then we were hit by a stomach bug -- yuck! But in between, here's what we've been up to. 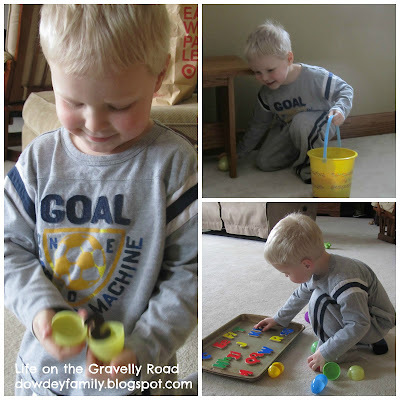 I took our Melissa & Doug Magnetic Wooden Alphabet set and put the lower case letters in the plastic eggs. Then I put the corresponding upper case letters on a metal cookie sheet. (Because our set is from a garage sale, we are missing some letters so I needed to make sure to only hide lower case letters that we also had the upper case version of). After the eggs were hidden, my kiddo excitedly found them all. 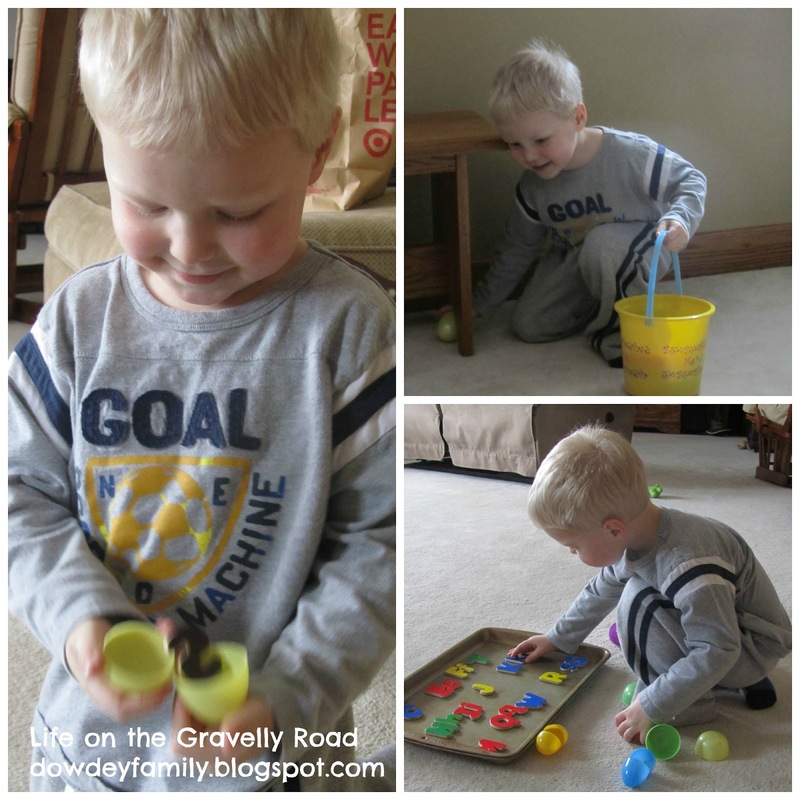 Then as he opened the eggs he worked to match the lower case letters to the upper case ones. 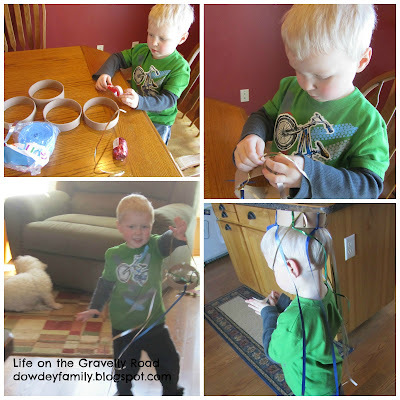 The beauty of the cookie sheet is that they stayed put and he could tell at a glance how many eggs/letters he still needed to find. It was a big hit! On the day of the blizzard warning, we spent some quality time at the lego table building this fun maze. (The fact that we also were sitting on the warmest heated floor in the house was a bonus). 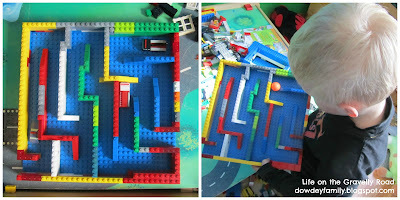 He played with the maze for a long time -- first using it as a "city" for a set of mini cars and later as a true maze with a bouncy ball. Dancing Ribbons or Windsock or Royal Hat? At Christmas I was blessed with new pots as a present. When I unpacked them, I spotted some great cardboard circles that were just begging to be part of a project.